Apply as a PAO member today and get the reduced fee! Place: Atelier Nord ANX, Olaf Ryes Plass 2, 0552, Oslo. Limited amount of places- so sign up as soon as possible! 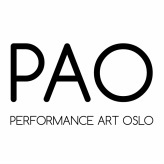 Final presentation / group performance of workshop participants on Friday 14th as part of the PAO Festival!! Performance art is deliberate action, directed towards an audience, but also responsive to people, space, time and emotions. As a result, a performance art piece is shared and affected by everything and everyone present depending on when and where the work takes place. How do we consider the impact of these factors when in the process of producing a performance piece? This workshop will reflect on the history and traditions of performance art in the creation of a new work. The result will be a contemporary and relevant performance piece which will be based on the body of ideas and material developed by the workshop participants. In the workshop, we will work together as a group, utilising each other as a sounding board of continuous feedback through a fast-paced series of individual and group exercises. The focus will be on process and production, from simple ideas and actions towards the development of more complex works. Starting with ourselves by identifying what materials and resources we already have and those which we would like to develop, we will explore the influence of space and time in the formulation of the performance piece’s structure and content. In doing so, we will also utilize our physicality, materials and objects, sound and each other. In discussions, we will also examine and respond to relevant issues related to contemporary visual performance art and its role in society. We will also draw on contemporary phenomenological findings which concern spatial experience and communal fields of emotional exchange in order to create an effective form of performative communication. Through discussions and specific exercises, historical and contemporary examples of performance art practices will also be explored. Participants are asked to bring loose clothes and an open mind. Agnes Nedregard has been working in the performance art field for over ten years. She has performed at a range of venues and festivals in Europe, Asia and North America, including TIPA with Black Market International (Glasgow, Scotland), OPEN Festival (Beijing, China) and FADO (Toronto, Canada). In addition to her work as an artist, Nedregard is also a performance art instructor, organiser and writer. She has taught workshops at art schools and festivals internationally since 2005, and she is a founding member of PAB (Performance Art Bergen). She co-edited Never? Now? Performance Art! (Bergen) and was the guest editor for MAAG 7, published by NABROAD (London). Nedregard is from Bergen, Norway, and holds an MFA from Glasgow School of Art. She is currently based in Paris, France.